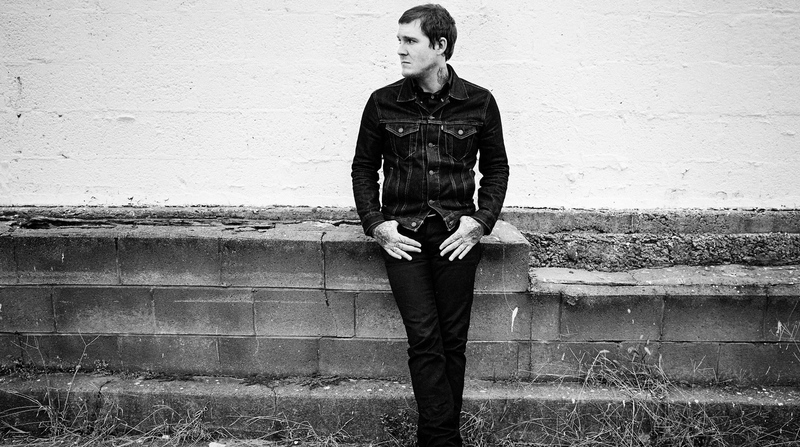 I recently had the chance to sit down and chat on the phone with the great Brian Fallon. The interview runs a range of topics, including the inspiration behind Fallon’s folk-heavy new solo album Painkillers (due March 11th), working with Butch Walker, the uncertain future of The Gaslight Anthem, favorite Springsteen songs, and the intriguing possibility of an Elsie: Part II. You’ve done a bunch of solo shows already, where you’ve been playing all of the songs on this record, plus some Horrible Crowes stuff and a cover or two, but no Gaslight material. How did you feel fans were responding to the songs? So far, it’s been good. You know, it’s a lot to ask of people to go out and just play new songs that they don’t know, and expect them to be quiet and have an attention span of any kind. But they’ve been doing really well, and they’ve been just kind of absorbing the music, which is cool because I’ve always kind of thought of myself and my friends as music listeners. We kind of absorb everything and pay attention to what’s going on, and I’m finding out the audience is doing that as well. They’re kind of shifting with me, which is really more than you could ever ask of anybody. You’ve always had a folk-leaning song or two on the Gaslight albums, and there’s plenty of Americana influence, but you guys have never gone full folk or alt-country. What drove you in that singer/songwriter direction for this album? Well I think that’s where I started playing music, in general, when I was really young and before I’d decided anything on my own about what musical taste I had. So, it kind of seemed natural, if you’re going to try something new, to start from the beginning. And go back to “what did I get into music for in the beginning?” And it was also a little bit of a re-focusing as well. You know, why did I start doing this in the beginning? And what made me happy about it? And what did I get enjoyment from? A few of these songs turned up, in different forms, as part of the Molly and the Zombies project a few years ago, but you made it clear at the time that you weren’t planning on doing an album for Molly. What’s the story behind that side project and how did you know that…I mean, were you saving those songs for the solo record, or did you just not think you were ever going to end up using them for an album project? And then I called a couple of my friends to play in it, and it sort of…quickly, I had the idea that when I used to go to shows—and like house shows and VFW Hall shows—and I would see bands. You know, you would see a new band and you couldn’t…maybe they had a demo tape and that was it. And you had to wait for a record and there wasn’t any record, and it was just, if you liked the songs, you went and saw them again. So I kind of had this idea that, what if we just made a band and played some songs and I don’t know if there’s ever going to be a record or any kind of recorded versions. And if people want to see it again, they just come check it out. That was the initial idea behind Molly and the Zombies. And then it kind of fizzled because I was just so busy with Gaslight, and then I decided…like, I didn’t really want to do another band. It’s just…it’s a lot of bands, you know?! I can’t do them all at once, so I sort of said…once I knew that Gaslight was going to take a break and I was going to do some sort of record—because right away, well I gotta do something. I’m not just going to sit here and do nothing for a while. Yeah, they’re just live. We just went in there and played them. And the thing is that the songs sound a little bit different now. They’re not so…country-ish. Yeah, they’re definitely not the same. Right. Yeah, one of them…is it “Long Drives” that has different verses completely? Yes, it’s a totally different song. That one, I just kind of…I was like “I don’t know if I’m just going to…if I’m going to put this one on there”—I struggled with whether to put it on there or not—and I said “Alright, well this one I’m going to draw the line at.” If I’m going to put this on there, I can’t record it the way that it was, because I didn’t feel that it went along with the rest of the songs. And there’s people who would probably disagree with that, but…you know, I was kind of the only one there to ask! I figured it would be better if I was going to put three of them on there that I would change the whole thing and rewrite it right now, as a fresh song. Yeah, it’s one of my favorites too. So then I put it on, and when the verse came on I was like, “…is this even the same song?” And then it got to the chorus, which was familiar. But yeah, that was pretty cool to hear. It’s like a little adjustment period. But then I think, once it settles in…I would say to people that like the old version, I would say I like the old version too. I like them both. But just give it a second, because once it sinks in with you I think it’s kind of cool. So, speaking of Butch, full disclosure: I’m a huge fan of his music, been a huge fan for like a decade, and I interviewed him last year when he released Afraid of Ghosts, so I was excited when I heard you were recording with him. I was wondering how you ended up working with him and what that was like compared to some of the people who have produced the Gaslight albums, like Brendan O’Brien and Mike Crossey and Ted Hutt. Well, Butch came about mostly through friend recommendations. That’s how his name got thrown in the pot. Because I was sort of looking around for a producer, and I said “You know, I probably should work with somebody that I haven’t worked with before, because I don’t want to repeat anything that I’ve done.” I didn’t want it to be…I didn’t want it to get the Gaslight treatment. I didn’t want the record to have that, which people will automatically do. I find that, if you’ve done a band for a long time, people will…before you’ve even played a note…you could have a disco record and they would put the slapback vocal on it, because that’s what Gaslight does. And you’d just be like, “No, come on!” Don’t just rehash the same thing. Then we might as well call up the guys and get them in here. And if you’re going to do something different…you know, I figured we would try something different. And when I talked to Butch, it was real easy. He started coming up with ideas right away. He was like “Okay, you’ve always done a little bit of reverb or echo on the vocals, so we’re going to do nothing on the vocals.” You know, we’re gonna leave them…just bare. And then, he was just like “We’re just going to go in and record it, pretty much on the floor, and see how we do with it.” And it was pretty immediate. So running into him and having him be such a fan of…of music in general, that was really easy to work with. A lot of guys that we’ve worked with…like, Brendan is super good at the rock thing. He’s really great at big rock sounds and stuff like that. And Ted is kind of…he’s just another world. Ted’s really…he does everything from the heart. Ted’s really artistic and he’s got a whole way about him. I love working with Ted, actually. And Mike is like a sound guy. Mike loves sounds. And this, it was totally like…get in there and don’t worry about anything and just sort of sit down, and do it, and leave the mistakes in. That’s foreign to me: usually the mistakes are gone. Right, yeah! That’s really cool. And Butch plays some guitar on this record too, right? That’s really cool. So, I personally really enjoyed Gaslight’s last record, Get Hurt. And I think I spoke to Benny for that one the morning it came out, and he was super excited about it. And then it got super mixed reviews and some pretty harsh pans from like Pitchfork and Slant and those guys. Did that in any way lead to the band’s decision to go on a hiatus instead of keeping up with the every-two-year release strategy? And, you know…I agreed with him on that aspect. But I also felt that it got a little personal. It got a little bit more…not necessarily about the band or the record, but about what [the critics] thought I was doing. You know, like what my intentions were on some of them. And I was like…these are people I’ve never met. That’s a low blow to be throwing on somebody you’ve never met. I wouldn’t say that kind of stuff about someone I hadn’t spoken to, or done an interview with, or whatever. I think you can make an assessment based on a record, but you can’t make an assessment on a person’s intentions, you know? That seems a little far-fetched, and to be honest, a little self-righteous. But you guys toured a lot in support of that record, right? Like, I don’t know if it was the most touring you ever did, but it seemed like you were on the road for awhile and there were multiple tours. And at the shows I went to, at least, it seemed like the fan reception for those songs was pretty good still. Yeah, it was a divided thing. I don’t want to say it was like, all of the critics didn’t like it, because some people said it was awesome. And that seemed to be the dividing line: it was either people thought it was awesome, or people just didn’t like it at all. So there wasn’t really a middle ground which…I guess that’s good? But the kids at the shows seemed to like it, and that was, I thought, encouraging. Because truthfully, I’m not writing songs for reviewers or magazines. I’m writing songs for myself and for the audience that we play for. That’s who I feel matters in the big picture. That’s always been the start of it: you’re trying to communicate with your audience directly. And so those are the people that you’re shooting for. And so they seemed to embrace it, which is cool. But yeah, there was definitely a divide. I think we got some of the harshest criticism but then some of the praise was pretty good too. It was mixed, and we hadn’t done that in awhile. People kind of tend to like the records that we had put out prior to that. We were lucky in that sense, that people seemed to really gravitate toward the other records. So what is the…is there a next thing for Gaslight right now, or are you sort of just playing it by ear? I know Sink or Swim turns 10 next year, so I was wondering if you guys were going to get into the 10-year tour thing? But as of right now, there’s not really plans to do anything, because there hasn’t been…there’s just not the “What’s next?” feeling, you know? What do you do now? To me, if you ask me, I can’t imagine a record that we could write that would be better than 59 Sound or Senor and the Queen, actually. Those two records to me—I like all the records—but those two records to me are great. I love them. And I don’t know what I can do that’s better than that. And I think that, until I found something that I think is on par to that, I don’t think I would try to touch it, because I don’t want to do anything that’s gonna damage the band as we go on. And I feel that everyone else kind of agrees with me on that. And they sort of said, “Well, if we don’t have another idea that we all feel strongly about, then maybe we should just do nothing and that’s the best bet.” You know, rather than just ruin something. Especially half-hearted. That just seems like a big slap in the face to everybody, including the band and myself. Yeah. I don’t think you can do that over and over. At some point you earn yourself a break. And, look, I’m not trying to say…we’re not a punk band, as far as being…because I don’t want to be disrespectful to bands that are punk bands, you know? And that’s why I say that. But we do have an ethic that we came up with that’s like: look, you don’t do this on somebody else’s back. You do it for the love, and that’s why you do it. And like Tim Barry says, “You play for the lovers, that’s what you do.” And you know, unless you’re 100% sure and backing it, then I don’t think you should do anything. So that’s why it’s more like, Gaslight decided “Okay, let’s just shut up for now, because we don’t have anything on the plate that we’re pumped about.” I’m not sitting on American Idiot in my back pocket or something. I’m not going to release record like that. I think that’s an awesome record, American Idiot. Green Day had this big long career, and then they did that, which was pretty…that’s surprising. Late in a band’s career, to have such a great record come out of them? And so inspired? And I’m not sitting on that right now. (Laughs) I’m kind of sitting on nothing. I don’t have any ideas. So that’s why, I think…the only idea I would have is to sort of be like, “Alright, I guess that Gaslight sounds like 59 Sound, so let’s kind of rehash that.” But, to me, that sounds awful. I don’t think anybody would want to hear that. Wow, yeah, I think that’s a good way of looking at it. Getting back to the solo record a bit, what inspired your songwriting this time around? I did notice there were a few songs coming from a female perspective, which I thought was interesting. The whole thing came from the old songwriting tradition that I grew up on, like folk music and singer/songwriter music and that kind of stuff. Because I don’t really…like Tom Petty and Bruce Springsteen, I guess they’re rock bands, but they’re more singer/songwriters. That’s what they are. And those guys and all the folk music and even like Wilco and that kind of stuff…I was going back to where I started writing songs from for this one. So it sort of felt really fresh to me—fresh and familiar at the same time—that I could go and delve into these things I hadn’t fully gotten to explore previously in my career. Someone from the site wanted me to ask this: do you have a favorite Bruce Springsteen song? Oh yeah, I’ve got a ton of them, actually. A lot of my favorites are really on the Tracks box set. Like that first CD of the Tracks box set. There’s this one tune that I always go back to called “Zero and Blind Terry.” And I just…I love that song. I feel like it encapsulates everything that Bruce was doing that was different and new, all in one song. It’s six or seven minutes long, but it’s…it’s so rad. And when you listen to that song, you can totally hear how songs like “Jungleland” and “Born to Run” and Thunder Road” and these epics that would come in later. But this song is like the rawest version of a beginning of that, and to me, that’s so exciting. It’s like hearing the first Against Me! record: it’s so rad and raw. Yeah, it’s nuts some of the stuff he didn’t put on records. I know right? (Laughs) There’s some good songs! Are you catching this River tour, by any chance? I’m not, because I’ve been traveling around so much. I keep going on tour and I keep missing the shows. But I did just get the box set, that River box set? Yeah, my brother got that for Christmas. It looked pretty great. Yeah, I haven’t watched [the DVDs] yet, but it’s pretty cool. I just bought it. Yeah, I’m heading down…my brother and I are going to see him in Kentucky I think in two weeks now? Which…I mean, I haven’t seen him in like four years, so I’m pretty excited about that. That’s awesome. Last time I saw him was in Nashville. We were recording Get Hurt and he played down at the area there, the Bridgestone Arena. And we all took off early in the session. We were like “Let’s go!” And we all went to see Bruce Springsteen. It was cool. Did he know you guys were there? Did he like, call you up to the stage or anything? Yeah! No, he didn’t call me up to the stage, but he knew we were there. We let him know that we were coming and then he was being cool to us and it…he’s really cool. I mean, he’s real cool to us too, which is nice. So Jason Tate, I think you’ve talked to him before, he runs AbsolutePunk. And his favorite record of yours is Elsie, the Horrible Crowes record. So I was wondering, on his behalf, do you ever see there being another Horrible Crowes record? Or is it sort of at this point like, if you’re going to write something that’s not Gaslight it’s probably just going to be solo? Well, I mean, if I was going to do another Horrible Crowes record, it would probably be under my own name, just for the reason that I gave before, so that it’s all wrapped up into one. But I definitely have a desire to do a “part two” of that, and that was my first idea when Gaslight was like “Okay, we’re gonna take a break.” My first idea was like, “Maybe I can do another Horrible Crowes record. But I couldn’t think of anything in that genre that would be better than Elsie, so I was like…I don’t know if I want to start diving into that one. Because that’s special to me. That record is…I love that record! And I still listen to it, even. So for me, I would have to get into it, and really see if I could find something that was as good as that. I would probably just do it under my name, but it’s definitely on the plate to do something like that again. And Ian Perkins is still touring with you for this anyway, right? Yeah, he’s always there. So yeah, it wouldn’t change anything. Like, Ian would still have a part of it, and he would still…everything would stay the same. It would just be the name on the record that would be different, but everything else would still be the same record. I mean, I’d probably call Ted for that too, and say “Well, you gotta do this next one, because we did the first one.” I would probably get exactly the same people and not change a thing. Right, yeah, totally. But I’m pretty pleased that you went the country route more for this one, because I think it really suits…like, the instrumentation is really nice. On songs like “Honey Magnolia,” like, I really like that guitar solo in there. Yeah, me too! That’s the thing: you sort of have to just obey what you feel is coming out of you at the time. You can’t really control it. So, I felt like [the Americana-influenced sound] was the thing, and I had a lot of things that I’d always wanted to do—like what you were saying, writing in the perspective of a girl. And that’s part of the folk tradition: taking on characters and trying to empathize and see from their point of view. And that was really calling and gnawing at me, and I really…I just knew that this was the time and I had to sit down and do this record.